With more than 600,000 annual passenger arrivals from Africa and a poor to non-existent public health infrastructure in most parts of the country, China faces a very real risk of an Ebola outbreak. That the verdict of infectious disease specialists who have modelled what will happen if a person with Ebola lands in China and is not detected immediately. Dr Chen Tianmu and colleagues from the Changsha Center for Disease Control and Prevention have used data from previous Ebola outbreaks overseas and also from outbreaks of dengue and HIV viruses in China to model the likely spread of the infection before it can be brought under control. They modelled several different scenarios based on different levels of infectivity of the virus and different levels of detection and containment. 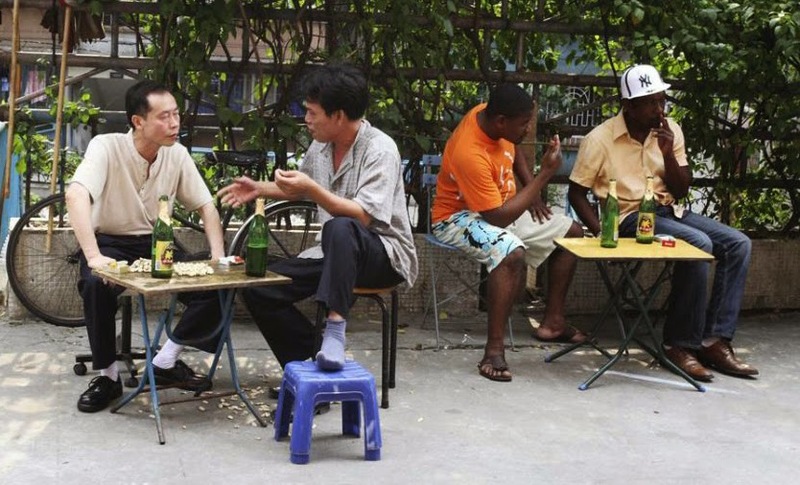 They based their calculation on the fact that there were 524,900 African visitors and 112,966 Chinese returning from Africa each year in China. Based on current distribution of Ebola Virus Disease and the rates of carriage in Africa, they estimated that 0.04%–0.16% of these arriving passengers in China (255–1021 people) may carry Ebola. Even if an optimistic assumption is made that only 1% of them slip through the entry-exit inspection and only 1% of these are not picked up by further reporting and monitoring follow ups, this would still mean 3-10 Ebola virus carriers could be at large in China. The researchers noted that China lacks a primary care system and most sick patients go direct to hospitals that are overcrowded and where Ebola patients might spread the virus to others. China also has limited public health reporting and surveillance systems for much of the country, and it would therefor be possible that cases of Ebola virus could be misdiagnosed and slip though the net until the patient became symptomatic and infectious. The researchers then calculated that the likely impact of such 'index cases' spreading the Ebola infection to others would be outbreaks of Ebola in China affecting between 6000-10,000 people. With a likely fatality rate of around 50% this would mean a severe mortality burden for China, they wrote. Writing in Travel Medicine and Infectious Diseases, they said the lack of Ebola testing facilities in China and poor infection control practices would further encourage the spread of the infection, they predicted. Other factors, such as the lack of quality control on blood transfusions (as seen with outbreaks of HIV and hepatitis) would also increase the risk of spreading Ebola in China, they warned. "Even if a good surveillance and monitoring system is implemented at immigration, an effective and efficient local medical response system involving primary health care providers and awareness of the general public is necessary to minimise the risk of an Ebola Virus outbreak due to other unknown sources," they suggested.